Explanation: Galaxies abound in this cosmic scene, a well chosen telescopic view toward the northern constellation of Ursa Major. 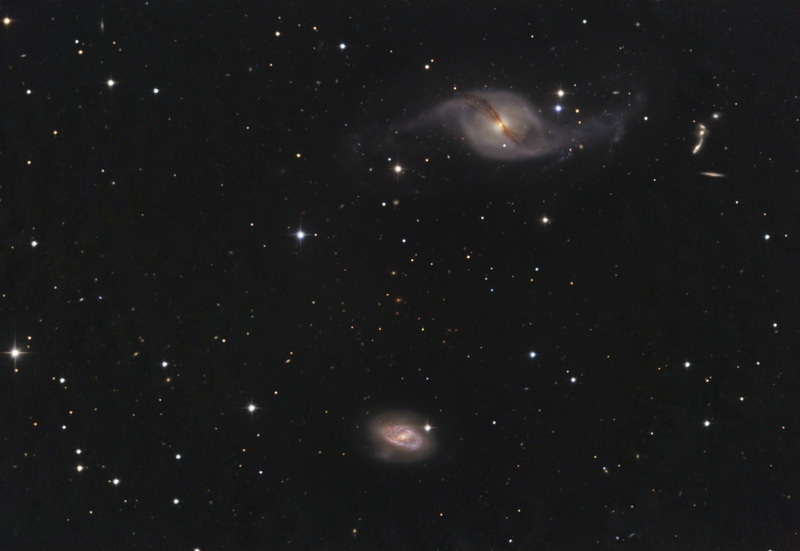 Most noticeable are the striking pair of spiral galaxies - NGC 3718 (above, right) and NGC 3729 (below center) - a mere 52 million light-years distant. In particular, NGC 3718 has dramatic dust lanes sweeping through its bright central region and extensive but faint spiral arms. Seen about 150 thousand light-years apart, these two galaxies are likely interacting gravitationally, accounting for the warped and peculiar appearance of NGC 3718. While a careful study of the deep image reveals a number of fainter and more distant background galaxies, another remarkable galaxy grouping known as Hickson Group 56 can be found just to the right of NGC 3718. 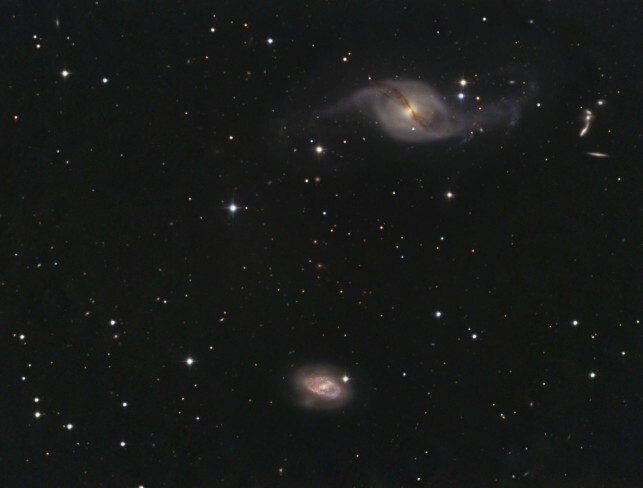 Hickson Group 56 contains five interacting galaxies and lies over 400 million light-years away.